Who knew school lunch could be so delicious? Minneapolis Public Schools Culinary and Nutrition Services has been in the news lately for their groundbreaking work to provide more nutritious and locally sourced meals to the students of Minneapolis Public Schools. Behind all the well deserved headlines is a team of dedicated, passionate individuals including Andrea Northup, Farm to School Coordinator. 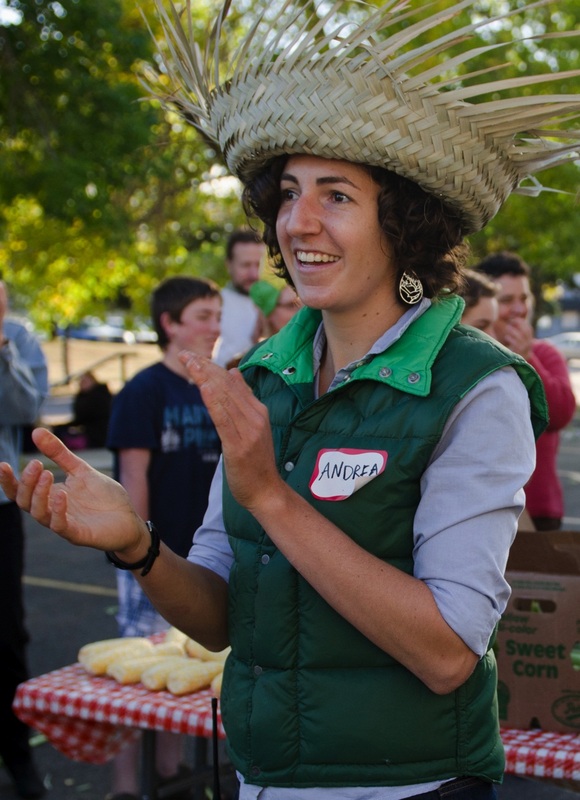 Andrea works tirelessly and with enthusiasm to source local food, facilitate taste tests and events in schools, and perhaps most important to Youth Farm, connect students with a variety of partners to ensure that MPS’s Farm to School Program is rooted in community. Andrea plugs our staff into taste tests in our partner schools, makes sure that there is a Youth Farm salad recipe or two on the school lunch menu, and is constantly connecting us to resources whether it be straw for our farms or refrigerator space for storage. She attends Youth Farm events, helps us train our staff in food safety, and shares the produce from Culinary and Nutrition Services own garden. Her passion for her work and her commitment to local food and youth is inspiring. Thank you Andrea for all you do for the students of Minneapolis Public Schools and for all of your support and love of Youth Farm! @YouthFarmMN Thanks. We like you too. Jill Wroblewski liked this on Facebook. Maggie Struck liked this on Facebook. Ian Marvy liked this on Facebook. Callie Recknagel liked this on Facebook. Food Access Summit liked this on Facebook.